We’re all familiar with the frustrating challenge of picking the right bottle off the wine rack, overwhelmed by the sheer quantity and variety on offer. Nor is the price always a reliable indicator of quality. Don’t you agree it’s high time you got a good-quality wine for your money? Then you’ve come to the right place at Aquitaine Vinothèque! It goes without saying that we invite you – as our customer – to selectively test our wines beforehand. Experience Aquitaine Vinothèque’s congenial atmosphere for yourself, let us professionally advise you on making your selection and sample your favourite wine at leisure. You’ll be so enticed by the French delicacies and comfy seating corners you’ll want to linger for another glass. Exclusive wine tasting in Munich! For anyone interested in learning more about the world of wine, we also host customer events. 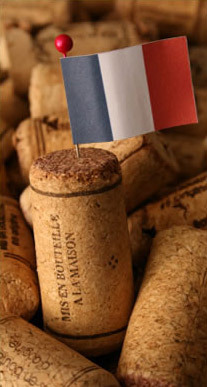 Why not join us at our popular Aquitaine wine tastings? In Munich we regularly organise wine presentations and tastings, where you get the chance not only to learn more about all facets of wines and champagnes but also to become acquainted with representatives from various vineyards, talk shop with experienced winegrowers and enjoy some exceptional wines to boot. Interested? Then subscribe to our Aquitaine Newsletter and we’ll be sure to send out your invitations straight away. That goes both for the seasoned and for the aspiring wine connoisseur alike.